have been blessed with a quick wit and enjoy the same in a partner. an encourager, a good listener, and a giver; always looking to the needs of others before my own. I'm looking for a , sincere woman, someone intelligent, HONEST (not pretentious, or self involved), culturally/educationally well-rounded and informed, has a sense of humor. Personal integrity is a big "must" for me. Mutually shared interests are ideal but I'm willing to cultivate interests that I have not previously explored. I enjoy learning new things! A dinner date is perfect. bravo14 is a Male dating in Dublin, Ireland. 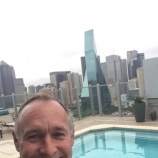 Check the description of this 63 years old profile, he is White/Caucasian and Christian maybe this matches your profile description and you can both start dating in Ireland for free.